Today, almost 3,000 people in Sonoma County are experiencing homelessness, and over 21,000 Sonoma County residents are one crisis away from losing their homes. The 2017 Tubbs Fire only exacerbated the crisis of lack of housing affordability and availability in the Santa Rosa community. 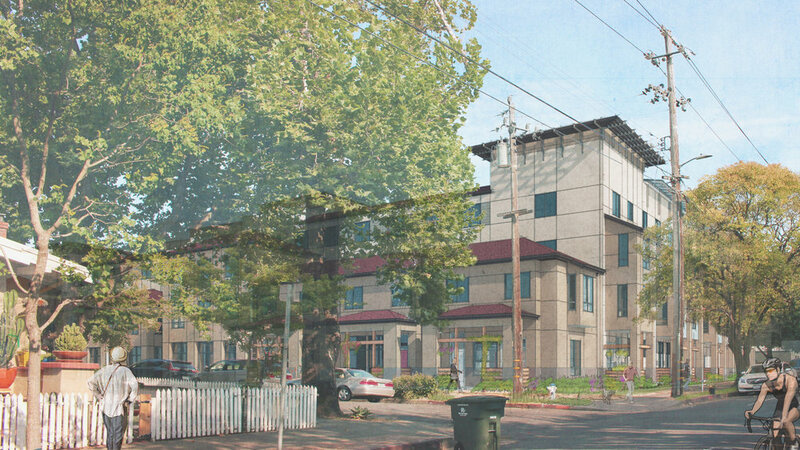 Catholic Charities of Santa Rosa and Burbank Housing are partnering to create Caritas Village, which will include a housing-focused service center, emergency family shelter, and 128 units of permanent affordable housing for those in need. Caritas Village will replace Catholic Charities’ aging facilities on Morgan and A Streets which currently serve 2,000 people a year. This is a long-term solution to the crisis of homelessness in Sonoma County. It will help get twice as many people off the streets and into permanent housing each year. Caritas Village has been designed with enhanced neighborhood safety and security in mind, including 24/7 onsite management, improved lighting and safety features, and inner courtyards for program participants. Project funding is coming through a variety of federal, state, and philanthropic sources. Catholic Charities and Burbank Housing are leaders in providing support services and affordable housing. 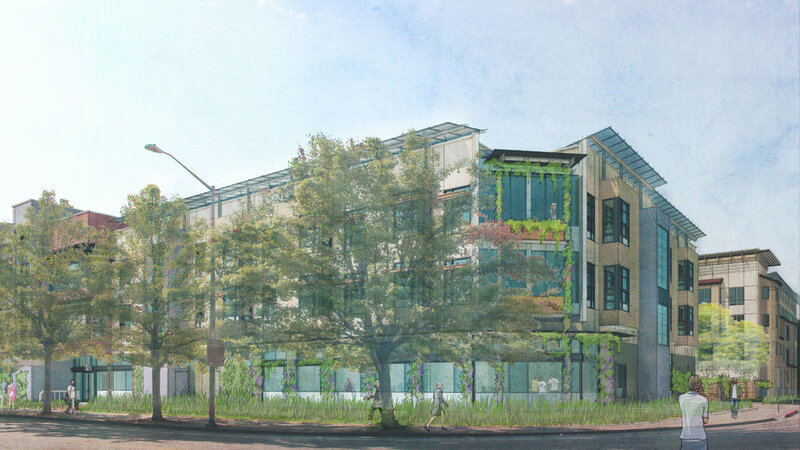 The project marks their first partnership, leveraging their decades of experience and expertise to create a facility tailored to meet the needs of our most vulnerable neighbors. Catholic Charities of Santa Rosa has served some of our most vulnerable neighbors, including those who are experiencing homelessness, for 28 years from their facility on Morgan and A Streets. Over the last 24 months, Catholic Charities has permanently housed over 1,300 formerly homeless people in Sonoma County. In addition to their nationally recognized services and extensive network of housing providers for people seeking a home, Catholic Charities also provides expert immigration counseling, senior care services, and disaster recovery services. At Burbank Housing, we know that communities thrive when housing is affordable. For nearly 40 years, we’ve built, preserved, and managed safe, affordable rental and for-sale homes in the North Bay exclusively for people who have low incomes. Helping the 10,000 people who live in our rental communities stabilize and improve their lives is a priority for us, so our Resident Services Department offers programs, activities, and individual support for residents who need some extra help to get – and stay – on their feet. Since the fires, our rental wait list has ballooned to include 15,000 kids, adults, and seniors. We are committed to helping everyone we can find their affordable home as welcomed, supported members of our Burbank Housing community. Catholic Charities and Burbank Housing have assembled a team of experts to help us bring the Caritas Village dream to fruition. We are deeply grateful to our project leaders, who are listed HERE.